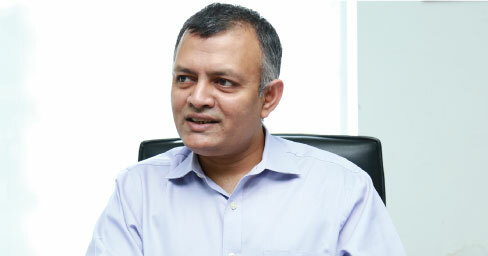 In this interview Wahidur Rahman Sharif talks about the state of the BPO industry in Bangladesh, it’s possibilities and future. FINTECH: Let’s start with your beginning. 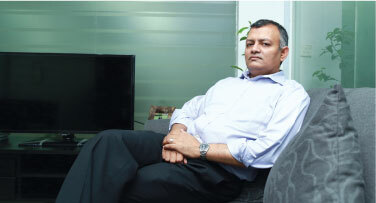 At the time when you started Digicon, what was the situation in Bangladesh for the BPO sector? WRS: The BPO industry came into being in 2008 when the BTRC issued license for the sector. At that time total number of people working in this industry was approximately three hundred. Now that number has reached 30 to 35 thousand. Digicon started its journey at the end of 2010. But we started our operation fully in 2011. We had 8 employees then. Now we have 14 hundred employees. We started with one client then and now we have about 22 or 23 clients. As an industry we had a market of a few millions in 2008. But now the industry is worth $180 million. FINTECH: Tell us how you strategized the for this particular industry when you started Digicon? WRS: Basically we were looking at a niche market. The garment sector had reached a mature state. And the government was looking to digitize everything in light of its ‘Digital Bangladesh’ vision. This included government services as well as the private sector. When a service industry needs to grow the first concern has to be the customer interaction. That naturally leads to the matters of customer service, taking care of the requirements of the customers at the back office etc. Based on this understanding we started to think about what we could develop. We thought about the raw materials needed for this. One of the most important raw materials is of course young educated people, something that Bangladesh happens to have in sufficient numbers. We are probably one of the foremost countries that have this human resource. In the next 10 or 15 or 20 years we are hoping to get the benefit of what is called demographic dividend, (economic growth from a large number of young people). Bangladesh has one of the largest population of youth ranging from 25 to 35 years of age. And these are all educated, college graduate people. We have so many graduates coming out every year. All of these people cannot work in the garments sector or in the banking sector. So, this was the basis of our plan and that is where we focused. And the vision was to get hold of the domestic market and take it to a matured level. I lived in the US for 18 years. My education is from there and my professional career started there as well. I wanted to implement the things I learned there in Bangladesh. In the 90s and 2000s when we saw everything getting outsourced to India, I thought why we couldn’t do that as well? So, when we started our journey in 2010 and 2011, the industry was infant. Our aim was to become a leader in BPO in the domestic market. (We thought) when we will get enough experience in the domestic market and we will be able to use the resources and learn the processes, we can slowly move toward the international market. After 4/5 years I think we are at a place where we can go for the international business. We now have our resources ready and the processes are in place. We now know how to setup things, how to run them, how to train, how to prepare mid-level managements and so on. So, the next three to five years I think is a key period, not only for Digicon, but for the industry as a whole in Bangladesh to get established in the international market. FINTECH: India, which is the biggest BPO country, faces a number of challenges in the industry. One of the prominent problems is employability. How are you dealing with the matter here in Bangladesh? WRS: Honestly speaking, our college (meaning ‘university’) graduates are not employable. They are not industry ready fresh out of college. We are doing a number of things to make them industry ready. We have to provide an extensive period of training of four to six months. So, this increases our operational cost. The nature of the industry is such that employees normally stays a year or two, after that they move on to different jobs. So, say for example, an employee studied finance. He or she will move to a finance related institution after working here for a year or two. As a result we are recruiting and training all the time. And that is increasing our operational cost, like I said before. We have to relook our education system from the bottom up. Focusing on the universities alone is not enough. The government now has a number of training programmes, initiated by the ICT Division: top-up training, mid-level management training etc. through different projects. But these are all short term: one year, two years. But the industry (needs preparation for) 20 years. We really need to focus on the primary and secondary level education and look at if the curriculum is right, if the teachers have the right skills. We usually think of training the students but training the teachers is also very important. There has to be certain measurements against which you can judge, like certain appropriate accreditation or certification. We must focus there if we want to make it a sustainable industry and compete with India or The Philippines and the education system must be overhaul. There are no other options. English proficiency is lacking, that is a given. The added problem we are facing is that there is a lack of Bengali speaking proficiency. They (the potential candidates) are unable to write a sentence properly in Bengali. They don’t know Bengali typing. We should at least have full expertise in our own language. A lot of the time we see that fresh graduates coming out of universities finding it difficult to write in Bengali. If you give them a paragraph and ask them to summarize it, they can’t do it. They also lack listening skills. When you work in a call center you have to listen to people speaking to you on the phone and then respond to them. So, the most rudimentary skill for this sector is being able to communicate. They lack that skill, sadly. Another problem here is that there are mechanisms in place to test or correctly evaluate English skills of a person, like there is the TOEFL test, SET, IELTS etc. Those are very useful tools to measure the English language proficiency. We do not have that kinds of tool for Bengali. We need to introduce that for our own sake. FINTECH: You just talked about attrition. That seems to be an inevitable process within the industry. How do you address that? WRS: Compared to the international market, the attrition level in our country is quite low at this moment. Given the structure of the industry a certain level of attrition is only natural. We call this healthy attrition. You want a healthy attrition. So, employees either leave or they move up after a year or two, because we offer career paths. Supposed, someone joined as an agent, they can then become a supervisor, assistant manager, manager, centre head and other promotions are possible. Not only on the operations side, but also in other departments such as the accounting department, finance department, sales, marketing, business development, admin, HR, IT department and so on. So, for example, suppose someone from an IT education background joined as an agent. He can then be hired when a position opens up in the IT department. And a certain level of attrition is needed for the people who couldn’t move up. But the benefit for them is that they are going away with a transferrable skill set. People working here are acquiring a number of extremely valuable skills, such as communication skill, communication etiquette, talking to customers, writing emails etc. These are all transferrable skills. So, we feel that the attrition is really healthy. Having said that though, we do want to mitigate it to some extent, as we have to provide rigorous training for the new recruits each time. We want the education system in the country to play a role here, so that candidates come out of the education institutions equipped with these skills. We can then just provide the process training and get them to start working straight away. But still, the situation has improved a lot compared to what it used to be. Previously we would need train a new recruit for six months. This has come down to three months, as we have been able to implement the best practices we learned through our experience in the industry. We brought highly skilled trainers from abroad too. But even then it shouldn’t take three months. It should take one month. But it’s a work in progress. We are working closely with the ICT Division and other government organisations in order to mitigate this gap. FINTECH: The ICT Division has been very active in planning different projects and showed genuine interest in working with the private sector. Could you talk about your experience of working with the government? WRS: The experience has been very good, in fact, unexpectedly so. The way we work so closely with the government, particularly the ICT Division, is truly unprecedented here in Bangladesh. The support we got from the ICT Division in the last seven or eight years has been excellent. Starting from the policy level decision making to international events and in other needs of the industry, they are jointly working with us. They are welcoming us in every meeting, in every decision making, they are really listening to us. It’s not like they are solving every problem for us, but previously there was no one who would even listen to the problems. Now we can communicate our issues and concerns. But yes, even if they can’t solve all of our problems, they are solving at least 60/70 percent. And we are hoping that if we continue this level of interaction then this industry is going to get growing and growing. FINTECH: As a startup what was the most decisive or significant moment for Digicon, a particular point when you felt that you now truly passed the trial stage and entered into the success stage? WRS: There are two such significant moments, I would say. One was when we got the first contract in 2011 with a telecom operator. That was a breaking moment for us. FINTECH: And this was Airtel? WRS: Yes, it was. Airtel is currently merged with Robi. But it was Airtel then. They had just transitioned from Warid to Airtel actually. They outsourced their contact centre to Digicon. So, that was a breakpoint for us. The other one was when we landed the deal with Teletalk. That was our first break into a government organisation. But the fact that the government was also starting to outsource its work, that they decided to take the step to properly operate the service, that the government was seeing it as a value service and wanted to provide the service through a third party was a very very big moment; not just for Digicon but for the whole outsourcing industry. FINTECH: Do you think the openness in the IT sector has been expedited because of the inclusion of younger generation, specifically, the prime minister’s ICT Advisor Sajeeb Wazed Joy and the state minister for ICT Zunaid Ahmed Palak? There seem to have been a strong correlation. WRS: Absolutely, the sector enjoys a direct support from the honourable ICT Advisor. And the state minister Palak bhai is always very supportive as well. A lot of the time we don’t even feel that we are working with a government body. Without the vision or the guidance of these two, the ICT industry or the BPO industry would not have come this far. Both of them are very much visionaries. The path and the vision that they had showed took the infant industry to where it is. We can now dream of competing with India because of their support. We are gradually reaching many international clients, many Bangladeshi companies are doing these works, but it’s not very widely known yet. FINTECH: What is the situation of BPO in the financial sector? WRS: There is a great opportunity for us in the financial and accounting BPO sector. Sri Lanka is doing very well in the financial accounting BPO because they focused on that market and everything was geared toward that. 90 percent of their students that come out colleges are either accounting background or mathematics background or just something to do with numbers. So, Sri Lanka has developed a BPO industry of two to three billion dollars, only based on financial and accounting BPO. If we focus on the financial and accounting BPO then there is tremendous opportunity. So, for example, Accenture is now working here in Bangladesh. Since the industry overall has reached a level of steadiness, it’s time for us to create our own expertise. We now need support. FINTECH: Could you elaborate what you mean by support? WRS: Yes, of course. Every organisation has accounting and finance wings. Banks can come forward here, since banking and financial institutions have a huge amount of paper work and processing. If the insurance companies and banks start to outsource their works then we can build competence, which will then prepare us to compete with Sri Lanka. This is also how Sri Lanka grew in the sector. Also importantly, Sri Lankan expatriates had brought in work from overseas (in the early stage). That’s what I mean by support. If we get this support from the banking and financial sector, in fact any sector, if they start to give us little portions of their work then we can grow our expertise. If we can provide service at home, we can then sell the service outside. You can’t just go to offshore clients and ask them to rely on you. You have to prove that you have expertise. And the proof of that is getting domestic work. If our local organisations don’t trust us, then the foreigners will not trust us either. That is where you (the media) can play a role by taking this message out to the relevant people and help the industry grow. FINTECH: Mustafa Jabbar alluded to this during his interview with us. He particularly talked about how CBSs (core banking software) are purchased by local banks from foreign companies when there are local companies who can provide the same or better solution for a much lesser price. This also came up a lot in the BASIS Softexpo sessions. Syed Almas Kabir said that BASIS aims to reach not just the proclaimed goal of one billion, but also aims to acquire the local market, which will add another one billion dollars. WRS: Exactly! If you want to achieve the one billion target, then you will have to reach a sustainable position in the local market. That is possible if the local industries provide that kind of support. So, if you look at the big names, for instance, Oracle, Cisco, Microsoft or IBM, where their growth originated? They weren’t working internationally. They worked within America first. Oracle was a defense contractor; it did all sorts of defense work in America. Cisco also was created to address security needs like networking etc. So, if we want to grow our industry we have to build the trust locally. We may make mistakes. 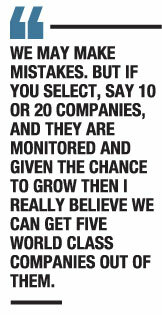 But if you select, say 10 or 20 companies, and they are monitored and given the chance to grow then I really believe we can get five world class companies out of them. We have that potential. Our talented people are actually working at Cisco and Oracle. Why wouldn’t we do this for us? But we need the necessary support. The government is really helping and giving us the support. We need support from the industry. They should have the mentality to try us before going to an Indian company or an American company. Another role can be played by expats. NRBs (non-resident nationals) can play a very important role, and again may be your magazine can put the word out and reach out to them. Many NRBs are working in important positions in many places around the world, and many of them have their own businesses. They can outsource their work here in Bangladesh, which they most probably are getting done from India or The Philippines or Sri Lanka. Why not Bangladesh? That is how the Indian BPO industry grew. Expat Indians sent work to India in the early 90s. And subsequently they grew from those works. Similarly, Bangladeshi expats now have to play that role and make Bangladesh familiar to the world. FINTECH: With that background, could you tell us which direction Digicon is going to expand? What is your plan for the future? WRS: So far we have seen a good amount of growth, because the industry has grown. We want to actually slowly try to focus on the international market. We are working toward that. In the next three to five years we want to get some of the big international contracts or big international processes, which will be done from Bangladesh. Along the same line, the domestic market has not opened up that much. The government sector, the baking and financial sectors are enormous sectors for outsourcing. We are creating awareness within the government as well as in the banking and financial institutions, so that they open up the possibilities of outsourcing their work. We believe that Digicon is the leading BPO in Bangladesh right now and we want to see that Digicon is well known internationally in the next three to five years. WRS: Thank you for speaking with me.